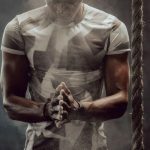 If I told you, you could lose body fat and strengthen your body while just standing there, would you believe me?? How can you improve your health by just standing there?? I admit… I was skeptical. I did the research and found out that whole body vibration can help you lose weight, tone up, and so much more! 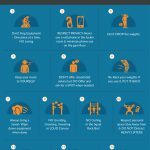 I will explain what I mean, the science and benefits of whole body vibration, how to chose the best vibration machine for your home, and list 10 of the best vibrating plates with reviews. 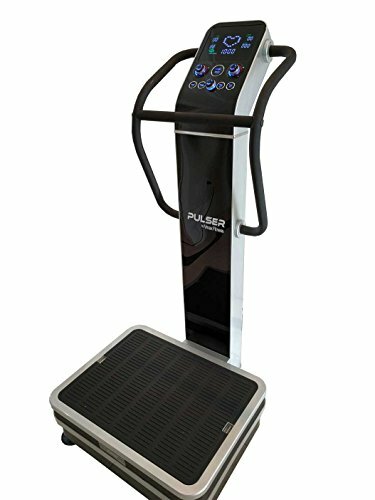 Whole body vibration machines are a vibrating platform that moves rapidly in small increments, either up and down or side to side. The vibration or motion they give off moves through your body, causing your muscles to involuntarily contract in order to stabilize you. The contractions use energy, and therefore calories, allowing your body to burn fat. The contractions also strengthen muscle and set off beneficial hormonal process in your body that have anti aging and bone building effects. Muscles are composed of three fiber types. Slow Twitch, fast twitch, and super fast twitch. Slow Twitch (Type I) muscle is very efficient and uses the least amount of energy. Walking is an activity that engages slow twitch muscle. While walking will burn fat, it does not burn it as quickly as other muscle fiber types. Fast Twitch (Type IIa) is less efficient. Sprinting is an activity that uses fast twitch muscle. It uses a lot of energy in a short amount of time, and some of the energy is wasted, as it is not as efficient as slow twitch muscle. Super fast twitch muscle (Type IIx) Is very fast, and very inefficient. 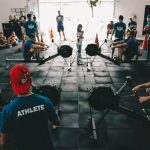 It uses the most energy in the least amount of time and is involved in reflexes and is not used as frequently as other types, but prompting the body to engage super fast muscle is the key to success with whole body vibration, at least in regards to fat loss. 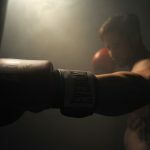 Whole body vibration turns on super fast twitch muscle, activating fast and slow twitch muscle, burning huge amounts of calories. 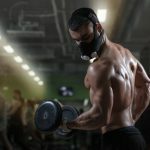 Making fat loss one of the best way to use vibration plate. Increases bode density and muscle strength. Several studies have shown that using whole body vibration increases bone density and this is why it is often recommended for the elderly and those who suffer osteoporosis. 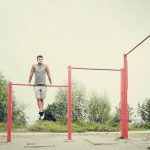 Improved balance – another reason doctors and chiropractors recommend whole body vibration to senior citizens is that it increases Muscle Strength especially core muscles, involved in balance. It decreases falling incidents in the elderly. Decreased back pain – many users swear by whole body vibration to relieve back pain. There are several different vibration types whole body vibration machines use. Triangular Oscillation Vibration moves each side of the plate up and down from side to side like a see-saw. It has a center fulcrum that the plate pivots on. This type of vibration is ideal for the less active or elderly. It usually moves more, relative to linear vibration, up to 1 cm in each direction. Machines that use this type of vibration also use lower hertz, or frequency, between 5 and 35 Hz. Linear Vibration, pivotal vibration, Vertical tri-planar; these machines have a platform that moves up and down, both sides together. This type of vibration is good for the more athletic type, and also for those looking to increase bone density. The machine using this type of vibration usually run between 20 to 50 hz and move just a short distance, 2mm to 4mm. These machines move in an elliptical fashion, both up and down and side to side. The machine using this motion is less intense and works well for folks with balance issues, or those who have spent a long time inactive. Machines with this type of vibration, and at least 30 Hz frequency, are best of osteoporosis. Note: Many studies showing the efficacy of whole body vibration used a hertz of about 30 Hz, which is why those looking to increase bone density often seek a machine with at least 30 Hz. In this quick 5 minute video Dr Kenneth best demonstrates how to use a whole body vibration machine for a low impact fat burning and muscle toning workout. 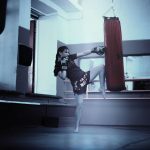 This video discusses what types of vibration machines work best for Osteoporosis and about 4 minutes into the video a fitness trainer demonstrates exercises you can perform to help increase bone density using a whole body vibration machine. Want to see our pick for the best vibration machine for weight loss? 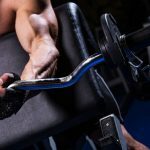 See the ZAAZ machine in the list of reviews below! 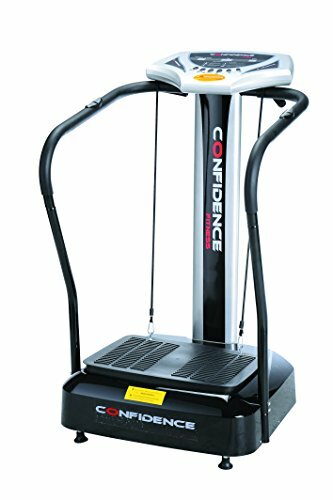 Review: The Confidence Slim Full body Vibration machine has arms you can hold on to while you perform various moves. The 1.5 hp motor allows for 50 speed settings, and the display console has a heart monitor, speed controls and 3 programmed routines. This machine is top of the line, the best whole body vibration machine. User console with programs, speed control and heart rate monitor. Only 62 lbs, with a small footprint. Portable and easily fits a home gym. Plate moves up and down from left to right (oscillating). Includes resistance bands for the arms. No workout chart included and no place to hang the resistance bands. Sturdy and effective, a solid Full body vibration machine. Review: This Merax 200W is full of extras like an MP3 player, speakers, yoga arms and 10 different programs pre-set in the on board console. You can vary the speed and vibration intensity as well. The unit has a 1.5 Hp motor and uses Triangular Oscillation. Uses Triangular oscillation, builds core muscles, for less active or older users. Console includes 10 programs and displays time and speed. Yoga arm straps to tone upper body simultaneously. Directions and use instructions lack detail. A powerful vibration machine great for less active people and seniors. 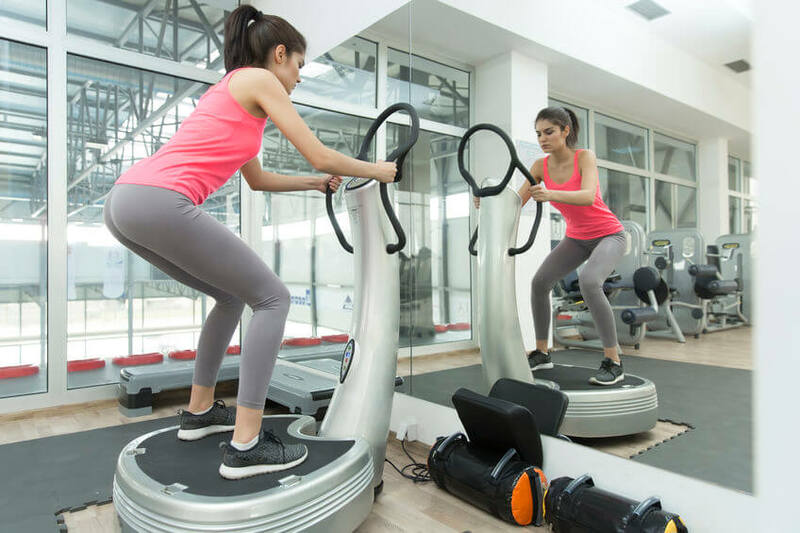 Review: This power plate uses oscillation motion, paired with vibration and a set or arm resistance bands to allow you to shake your way to a firmer body. Works upper, lower and core muscles simultaneously. 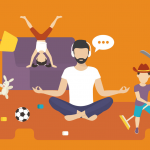 Remote control changes time and speed. The instructions that come with the unit are vague. 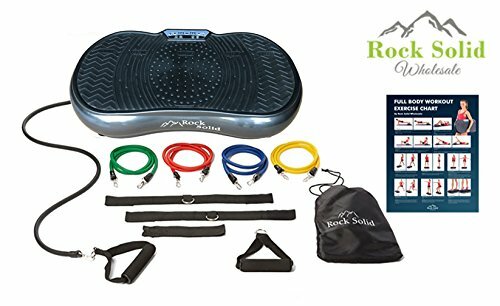 A great power plate with a remote and arm resistance bands. Review: This Rockin’ model features Oscillating motion and up to 30hz frequency, which has been said to help build bone best. The unit comes with a remote to control speed and vibration level, with 99 different speed levels and 9 preset programs, plus this unit includes a resistance band kit that use bands with several levels of varying resistance to change up the level of upper body intensity. Includes varied resistance arm bands that are color coded according to how heavy they are. Up to 30 Hz frequency, good for increasing bone density. Remote included to control speed and vibration level. The unit should come with a wall chart, but some complain they did not receive one. This power plate full body vibration machine is the best power plate to buy for increasing bone density. 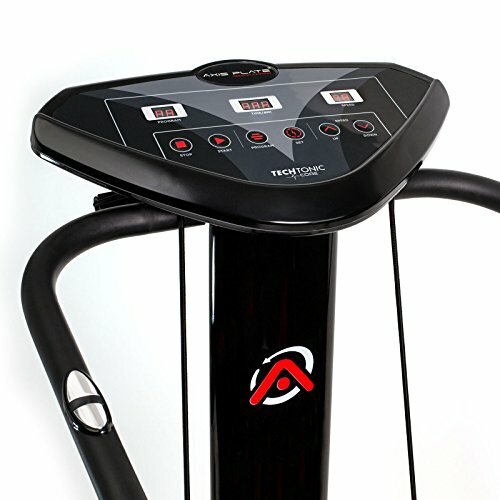 Review: The Axis-Plate Whole Body Vibration Platform has sturdy metal handles, a detailed front console, and it even has BMI (Body Mass Index) sensors so you can check your weight loss progress as you continue to use the machine. BMI sensors built into the handles. 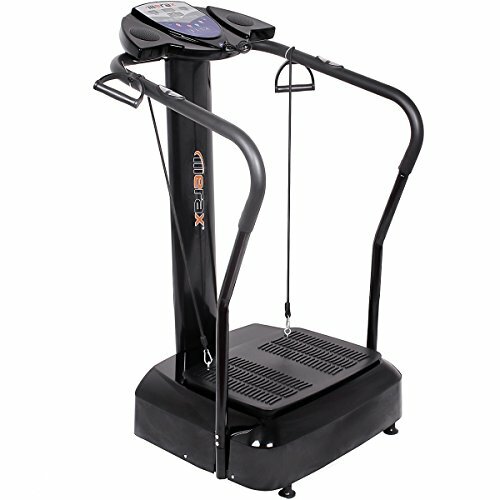 Best whole body vibration machine with handles and BMI sensor. Review: This innovative Genki 3D Vibration Platform includes two copper motors, where most machines have just one. It moves both up and down, and side to side, giving true 3D motion. 3D Shake means both up and down, and left and right motion. 120 speed levels, 6 running programs and 3 channels. Dual 200 watt motor power. Lineal Vibration, 10 hz and 1725 rpms. The included arm resistance bands only work for shorter people. 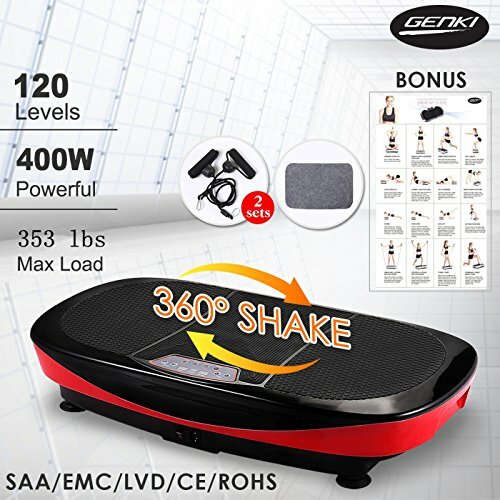 With two powerful and durable motors, this Genki plate is the best vibro plate with linear oscillation. Review: This DKN XG3 Series WBV Machine is in a class of its own. 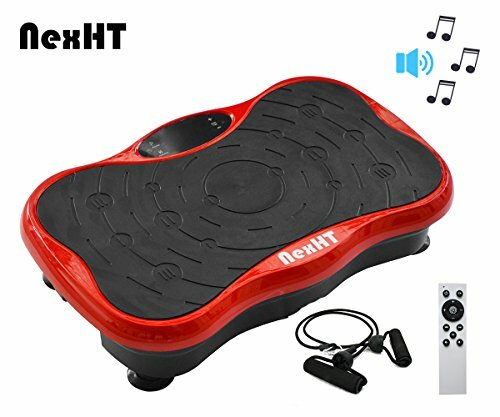 It offers 6 G’s of acceleration, adjustable Hz from 20 to 50 Hz, has sturdy handles to help you balance as you stand on it and a built in console coach to make workouts a breeze. Variable Hz, 20 to 50 Hz. Console includes preset programs that target upper body, lower body, arms, and abs. Wide vibration platform- 27.5 inches. High quality, adjustable Hertz machine makes this machine the best vibrating plate. Review: The Pulsar 2 allows you to switch up vibration type from Oscillation, to Spiral, and even use both types at the same time. This machine has dual motors, a wide 27” platform and comfortable ergonomic handlebars. Hands down, the best whole body vibration machine. Dual Vibration types of triangular oscillation and Spiral vibration, variable Hertz of 5 to 50 440 lb weight limit, the highest of all reviewed. All metal construction, transport wheels. Sleek design built in console with rotary dials to adjust speed and select vibration mode. 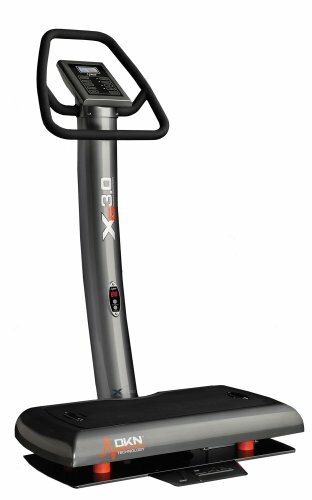 The ultimate in whole body vibration machines, dual vibration types, dual motors, ergo handles bars, what more could you ask for? 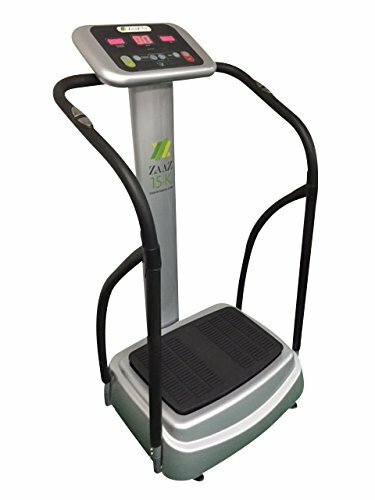 Review: The ZAAZ machine includes the same technology used by astronauts use after space travel to re-establish bone density and combat muscle atrophy. It has controls built into the handlebars, a console with 70 speeds, 8 built in presets, a body fat monitor, and ergonomic handlebars. Certified as an FDA listed medical device. Body fat sensor, 8 preset routines. The machine with the same technology NASA uses, easily the best power plate to buy. 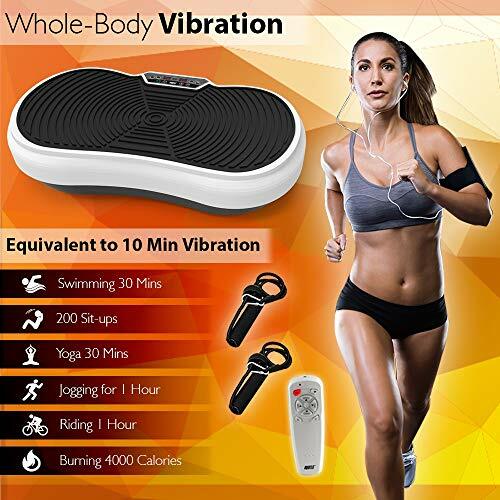 Review: This novel whole body vibration machine features built in USB speakers, is made from high quality materials, including a high purity rubber non-slip face, and has included resistance bands and remote. Goes as high as 50 Hz. Available in dual (3D vibration) or single motor (Triangular Oscillation). Includes remote, resistance bands and a music port with speakers. Rock and roll with the best vibro plate with built in speakers. 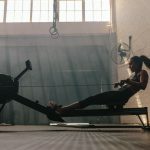 When it comes to the best vibration machine, there are some that are better than others, but it depends on your goals. 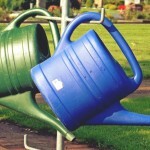 Remember: for bone density, gentler 3D motion, with a Hz of at least 30, but much more, is ideal. For the athletic, linear vibration machines give the best results, ad for the less active and elderly, looking to lose weight, triangular oscillation is the way to go. We are here to help! Let us know what your thoughts are and feel free to leave a question or comment below. 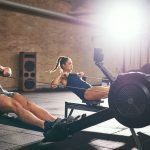 Rowing Machine vs. Elliptical vs. Treadmill – Which One is Right for You?